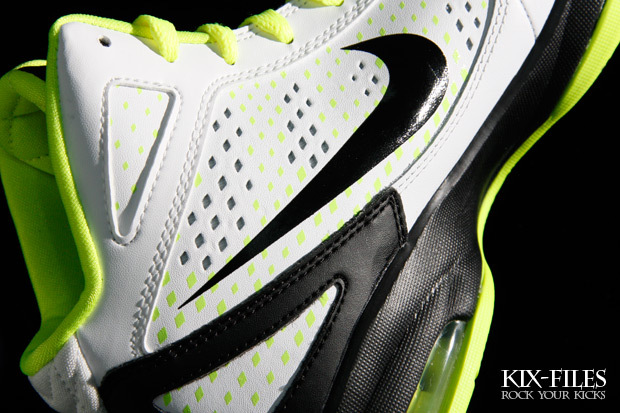 The Air Max Destiny is packed with top-notch performance technology that makes it a viable hoops option this summer. Though the Air Max Destiny can be somewhat described as a takedown hybrid of other Nike models like the Hyperdunk 2011 and Hyperize, the shoe is packed with top-notch performance technology that makes it a viable hoops option this summer. The Max Destiny features a Flywire-embedded synthetic base, diamond-shaped perforations on the medial panel, Hyperdunk 2011-style leather heel support overlays, visible Max Air cushioning in the heel and a herringbone traction pattern outsole. This particular pair of the Air Max Destiny is white-based with black working the upper tongue, Swoosh, heel counter and midsole. 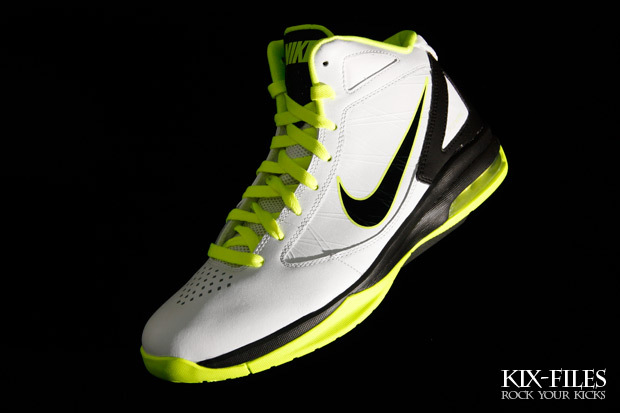 Giving the shoe some vibrant color pop are hits of volt on the laces, inner liner and outsole. 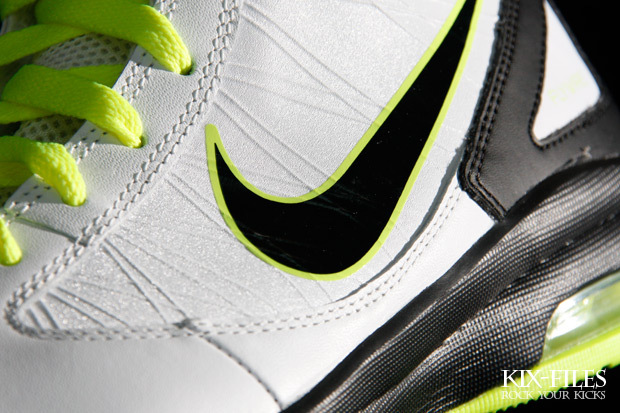 Look for the Air Max Destiny to start hitting Nike Basketball retailers this month and you can pick up this White/Black-Volt make-up early at Kix-Files today.